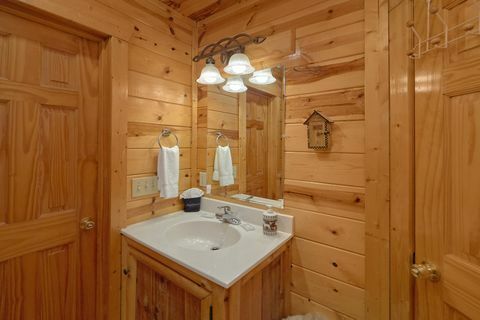 "Endless Joy," a 2 bedroom Smoky Mountain rental cabin, accommodates up to 10 guests and rests in Sky Harbor Resort between Pigeon Forge and Gatlinburg. 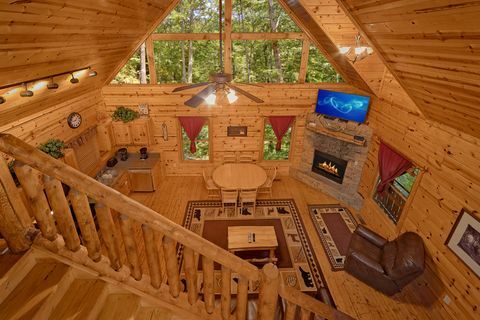 This three-level cabin in the Smoky Mountains with comfortable amenities allows for easy access to the main attractions in either Pigeon Forge or Gatlinburg, making it the perfect getaway for a mountain retreat. 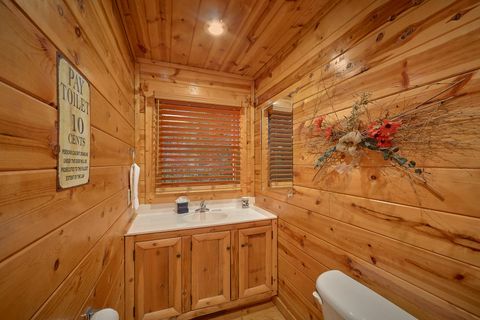 This cabin between Pigeon Forge and Gatlinburg provides rustic charm for your mountain vacation. 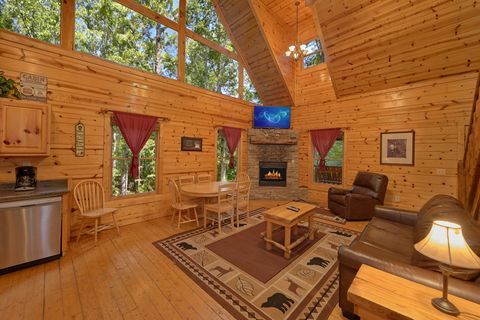 The main level's the spacious living area, a cozy sitting area with beautiful, stone mantel, gas fireplace, and sleeper sofa greets visitors. 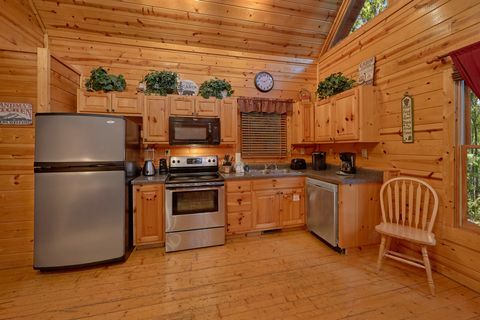 Nearby the open, dine-in kitchen provides a place to enjoy family meals together. 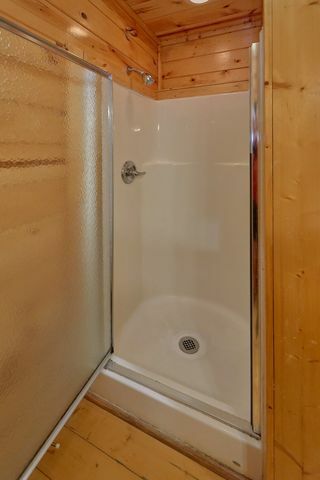 This Sky Harbor rental cabin's main floor also offers a king suite with a handsome log bed, in-room jacuzzi tub, full bath, and television for a private mountain retreat. Outside, enjoy the relaxing porch with rockers, a porch swing, and charcoal grill. 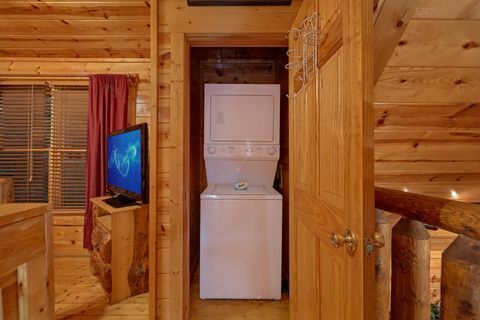 Downstairs, your Smoky Mountain rental cabin’s game room offers guest hours of recreational indoor fun with a pool table, air hockey game, ping pong table, and a foosball table. 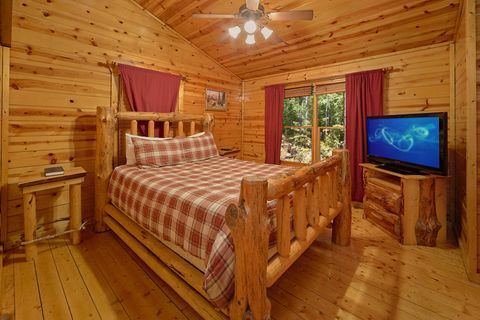 Additionally, a sitting area with television and two sofa beds provides more accommodations for guests. 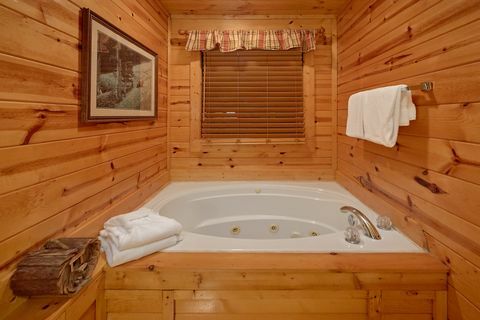 Outside, a year-round hot tub invites you to relax and unwind. 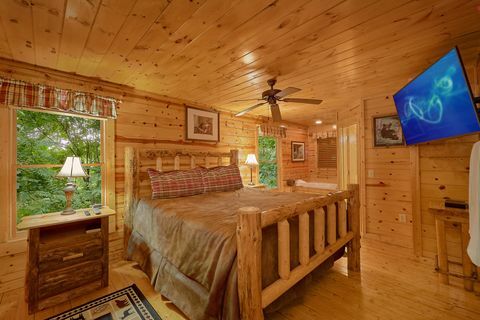 The second bedroom, located on the third floor, offers an open loft bedroom with queen bed and full bath. 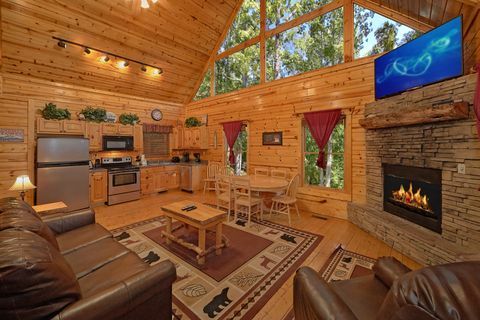 Experience the "Endless Joy" of this Sky Harbor rental cabin on your next visit to the Smokies! 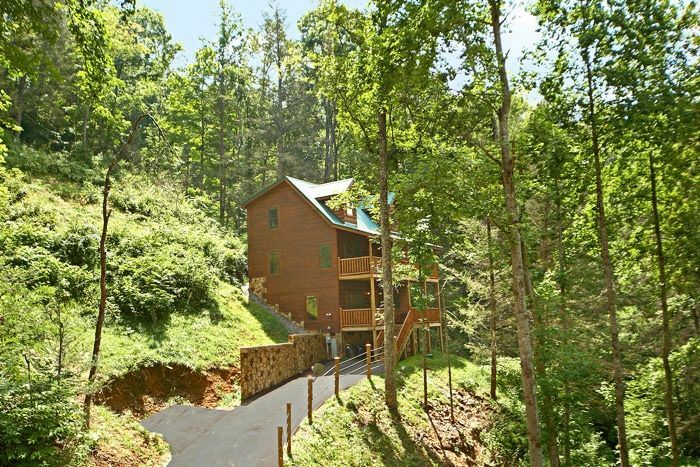 Book this Smoky Mountain rental cabin with Cabins USA and receive an immediate Online Cabin Discount!